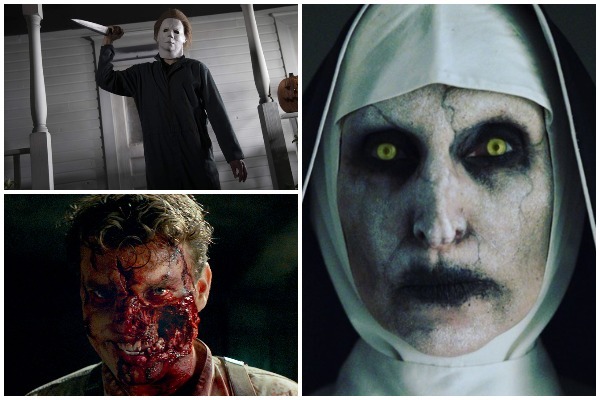 As the new horror film “The Nun” prepares to haunt the theaters on 06 Sept 2018, here are 6 more horror movies of 2018. There are two breeds of adrenaline seekers. The first ones will be the most outgoing-outdoor people who seek thrill in every activity they do. And the people of the second type seek that same thrill and adrenaline through watching grotesque horror movies! While the first half of 2018 has already gone by with very few horror movies that could make us shake in our boots— the latter half of the year promises to be a treat to the horror movie lovers. Let us glance through the names of the horror movies which are prepared to keep us awake all night long! Ever wondered what a complete unrelated ‘nun’ doing in The Conjuring 2? 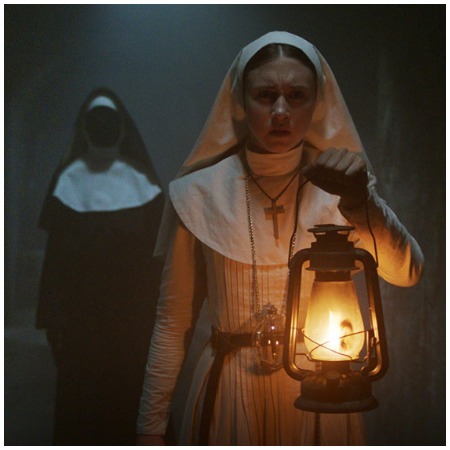 Well, the filmmakers were foreshadowing the spin off of the popular horror franchise—‘The Nun’. Touted to be one of the scariest movies made by director and producer James Wan— ’The Nun’ is all set to scare you in the theaters near you from September 6, 2018. If the movie works well the filmmakers could make a sequel of ‘The Nun’ to show how the story of a Romanian nun is related to the first ‘The Conjuring’. While Austin Vesely directed ‘Slice’ promises to tickle your funny bones it also has all the classic horror movie elements. While most horror movies are laden with a heavily religious subplot—‘Slice’ will include the mystery of the murders of pizza boys, ghosts, disgraced werewolves, a gateway to hell and drug lords. The real question who is murdering all the pizza boys? Solve the mystery yourself from September 10, 2018, onwards. 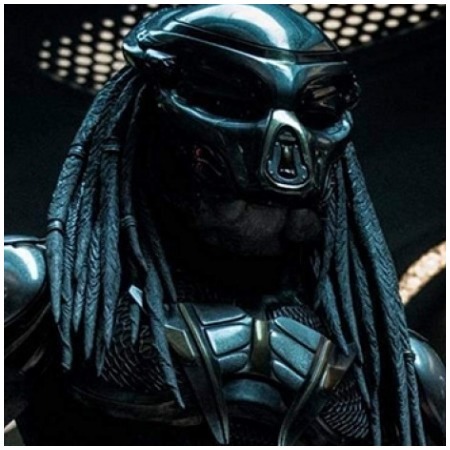 Who has not seen the famous horror film franchise ‘Predator’? Luckily for those who have not seen the horror masterpiece, they can feast their eyes on the 2018 remake ‘The Predator’ from September 13, 2018, onwards. The science-horror movie is about a mismatched group of humans fighting the more genetically advanced version of the lethal predators. Will they be able to save our planet Earth? The eleventh instalment of the horror film franchise ‘Halloween’ is all about the final showdown between Laurie Strode and the masked mass murderer Michael Myers. 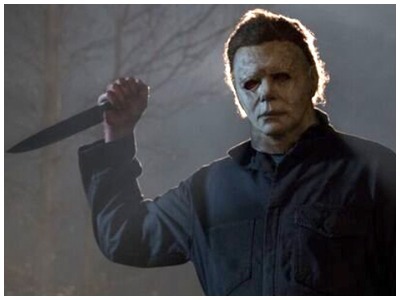 The film promises to come to a full circle from Laurie escaping Michael’s killing spree on Halloween nearly four decades ago to the day when she finally confronts him. You can watch this spooky confrontation in the cinemas from October 19, 2018, onwards. If the story of a world-renowned dance institute surrounded by darkness and mystery does not intrigue you, we don’t know what will! Remake of the 1977 film poses a question if an ambitious dancer, an artistic director and a grieving psychotherapist will succumb to the darkness of the world around them or wake-up? ‘Suspiria’ is expected to release on October 26, 2018. War can make one witness and suffer unspeakable crimes that often result in the horror of a life time. ‘Overlord’ is about a group of American soldiers who are sent behind the enemy lines into a Nazi zombie occupied village to fight off more than just German soldiers. Watch these soldiers’ lives change as they fight something beyond human that is a part of a Nazi experiment from November 9, 2018, onwards. Written and directed by Lars von Trier, ‘The House That Jack Built’ is a psychological thriller that follows a serial killer’s life over the period of 12 years. ‘The House That Jack Built’ is famed to include scenes of animal abuse that will surely make you feel squeamish. ‘The House That Jack Built’ is expected to release on 29 November, 2018.